Lancashire county council voted on Thursday to stop providing halal meat to council establishments unless animals were stunned before slaughtered. The decision ignored the result of a public consultation in which 65% of respondents strongly disagreed with the proposal. About 8,545 people filled in a questionnaire earlier of which about 2,000 were pro-forma responses that used a template provided by the Lancashire Council of Mosques (LCM). Nine out of 10 Muslims who responded were against the move, saying that stunning animals before slaughter is against Islam. The Board of Deputies of British Jews also opposed the proposal, saying that stunning could go wrong and lead to animals drowning, being gassed or electrocuted. The National Secular Society supported the ban. Stephen Evans, its chief executive, said: “It’s reassuring to see Lancashire councillors voting to pursue the council’s ethical policy on the provision of halal meat in schools, and facing down orchestrated efforts to ensure school meals in the county comply with a hardline interpretation of Islam. 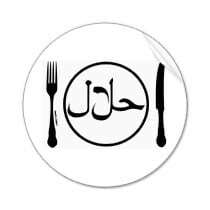 Unstunned halal meat is provided in school meals for some of the 12,000 children in 27 Lancashire schools. This will now stop from September, despite the council admitting there is currently no demand for stunned halal meat from any school in the county. The LCM described the decision as “undemocratic and hugely discriminatory”. It said it was considering legal action and a boycott of council-operated catering services – a move which the council estimates could cost £285,000 in lost revenue. “What we see is that the people have spoken, they have opposed the proposal and they have still made this decision, which is undemocratic and hugely discriminatory,” said Abdul Hamid Qureshi, LCM’s chief executive. “It could be categorised as Islamophobic, it could be categorised as a racist approach – not only Islamophobic but antisemitic as well … It’s not sensible action but offensive action to me,” he said, adding that the decision showed the council was determined to bring in the ban “by hook or by crook”. Qureshi said he was worried that other councils would follow Lancashire’s lead, discriminating against Muslims around the UK. The four-week consultation exercise was carried out after LCM applied for a judicial review of the ban, which the council originally passed last year. He added: “We accept that a small number of schools may choose to use different suppliers for halal meat. However, we hope that people understand how the council has arrived at this decision, which has been taken solely on the grounds of animal welfare with due consideration for the impacts outlined in the responses to the consultation. The headline of this article was amended on 13 July 2018 to make it clear that the council decision applies only to council-supplied school meals.